This groundbreaking international tour of calligraphy now features a sumptuous new foil-stamped cover. Showcasing the work of a roster of international artists, it features more than 60 scripts drawn by experts from America and Armenia to Syria and Tibet. Reflecting the diversity of contemporary calligraphy, it includes lessons and exercises for learning to write 28 alphabets, including Arabic, Chinese, Hebrew, Japanese, Roman, and more. 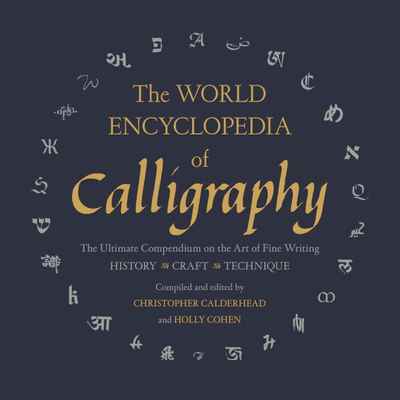 This unique volume offers an exploration of each script’s history, while beautiful step-by-step instructions and examples will inspire and guide calligraphy enthusiasts and experts alike.